Music recording and music editing are becoming an engaging function with all smartphone users. Today the digital world is buzzing with a number of apps that have notable features allowing free recording and editing of musical files and albums. Here we present listed information of top ten free music recording app for Android. iMusic is the best music downloader and recorder software, which is a cross-platform software that allows users to discover, download, transfer and manage music no matter users are using Windows PC, Mac, iPhone or even Android devices. Besides, you can also download music directly by URL from more than 3000 online music site, which is a much more convenient way to get whatever music you like. Let's see more key features of this ultimate music downloader and manager. 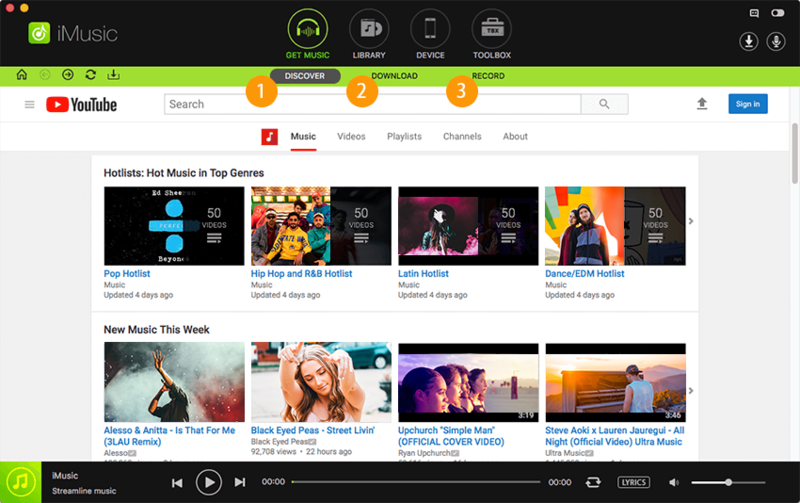 Not only provides users a music library to download music for totally free, but also allows users to download music from over 3000 music sites. As for music played in radio stations that can't be downloaded, iMusic can record the songs for users. For all the downloaded and recorded music, even music in iTunes library can be transferred to Android phones and tablets for playback. iMusic Windows version also allows users to transfer music between Android phones, iPhone, iPod, and iPad. Enable users to transfer music from Android devices to iTunes Library, and vice versa. Help backup, rebuild or repair iTunes Library on Mac, even on a Windows PC easily and quickly, without considering the OS limitations. Recording is fun with the smart new free Android music recorder recognised by the name of Recording Studio Lite. It has easy operations and fast functions. There are many prominent features of this free music recorder. It has the speciality of allowing the recording of audio files as well as using the virtual instrument files. 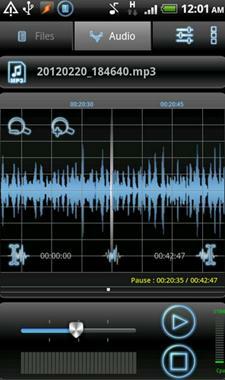 The app comes with a built in microphone to provide ease to audio recording. 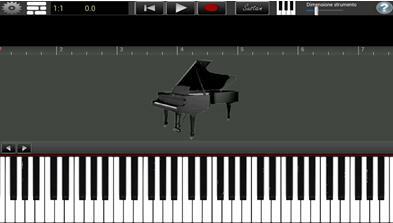 The recording that is done with the virtual instruments can be done with the help of multi touch keyboard. The Recording Studio also has the sample editor that allows the user to edit the recorded music and import it to the MP3 format. The user can use any of the editing features like copy/paste/split/fade in or fade out according to requirement. The very useful Recording Studio is being refined and made extra useful for user through addition of new features and updates. 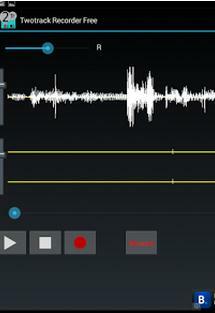 Mix Pad Music Mixer Free is another music recording app for Android that provides excellent recording features. It is free and offers the users with ultimate satisfaction of creating personally identified tracks. The user gets powered with professional recording, editing and mixing experience. Completely original and unique tracks can be created with the help of this recorder. These original tracks can be used for creating Podcasts and ring tones. They can be shared on social networking sites and used for various creative purposes. The users can avail great revenues and fame through revelation of unique creativity. The recording is done by an easy process. The ‘record’ button in the track control area is activated and the main ‘record’ button is pressed. The user can record a single track or record multiple tracks with complete ease and contentment. The tracks can be refined by using the special recording effects like EQ, reverb, compression, and more. High-Q MP3 Voice Recorder is a very popular voice recorder for recording personal voice for company presentation, audio for programs, songs for mixing and creating and for collecting music for fun. It has a paid version also but the free version is quite as good. The free version also allows recording up to 10 min. per clip. 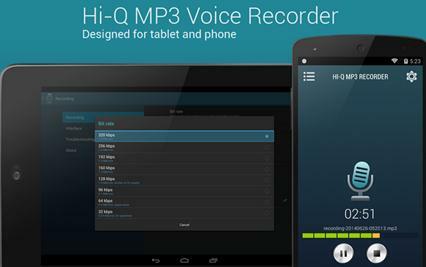 The High-Q MP3 Voice Recorder is well known for its superb audio quality. Its exclusive features include its high fidelity 44 KHz audio samples. The recording is done in a convenient way by clicking the Red button. The recorded music is easily exported to the MP3 format and saved. The users have the choice to select between the front and back microphones for recordings. This is done to ensure the sound quality as may be suited to the particular device. 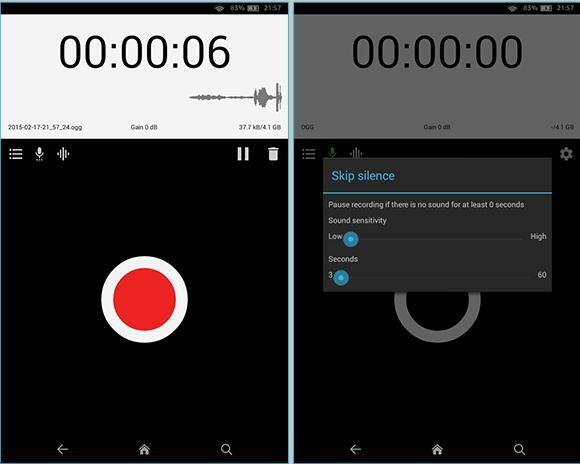 Twotrack audio recorder free is a great Android music recorder. Initial usage may require some trial and error for proper adjustment. Once the adjustment is done, it gives premium satisfaction to all users who use instruments to create harmonies or want overdubbing a track. This recorder is a speciality for multitrack recording. The user can record a track of their choice and then use it for overdubbing on another popular file. The final track is then recorded and can be further utilized for mixing to some other track. 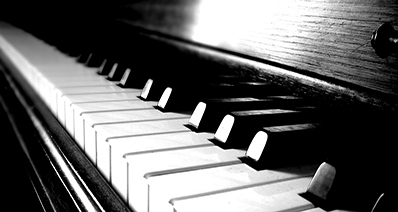 The functions are useful for musicians and music developers. They are also useful for fun-loving general mass of people who experiment for pleasure alone. The final recordings are saved in MP3 format. 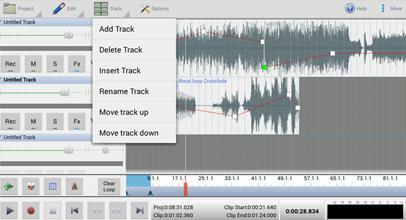 The free version of Twotrack Audio Recorder has some ads but otherwise functions as effectively as the paid version. 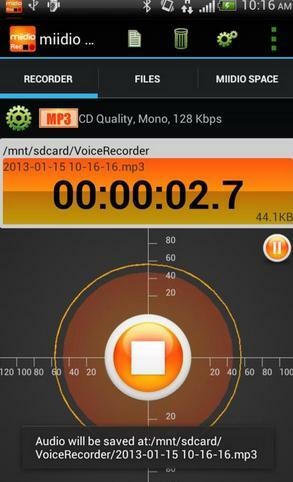 Easy voice recorder is one of the free music recording apps for Android with interesting features. Although the pro version is available with some more features, the free version has enough to lure the users with. A large number of people are already taking its help for various recording requirements. They can record lectures and lessons for classes; they can record hymns and sermons for gatherings; they can record their own voice for presentations; they can record stories for kids and they can record music for enjoyment and for new creations. 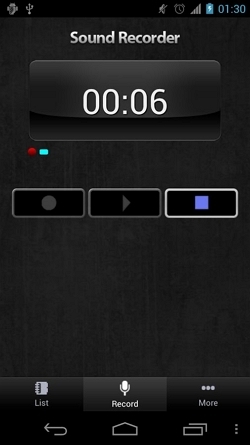 A tap of the widget button starts the recording process and the unwanted sounds that get caught during recording can be filtered automatically. The recorder has no limitations of time. The user can go on recording for any stretch of time to suit requirements. These recordings can be saved and managed in MP3 format. They can be shared and be used to create ringtones and notification tunes. If the user may so want, he can also delete and remove the recordings. Rec Forge Lite is the next name in the category of free music recorders for Android. The sound quality is amazing. With this recorder the users can select from interesting configuration options available. The app allows users to record audio files and music. They can record voices, lectures, notes, speeches, tunes, instrumentals and any type of music. 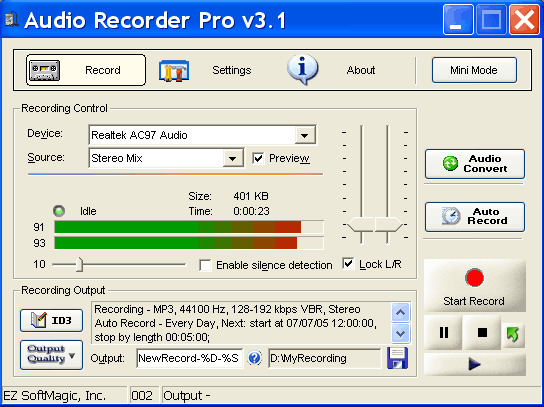 The recordings can be exported to different file formats such as MP3 OR WAV. The free version has some problem related to continuity of recordings. The recordings are paused after every three minutes in the Mp3 recordings. However, the users simply need to click its pause push button to go ahead with the task. This excellent recorder is being used by innumerable number of people for recording self-made audio files and music files. The recordings can be edited and changed into other desirable formats. They can be easily shared on social networks or elsewhere through emails, Bluetooth, SoundCloud, SkyDrive and more. Smart Voice Recorder is very much like the Easy Voice recorder. Though free it has all notable features that can prove to be useful to the users. The users are allowed complete control over the recording procedure in WAV format. The tracks can be recorded efficiently and the silent portion in the racks can be completely done away with. The handy microphone makes recordings even more convenient and controllable. 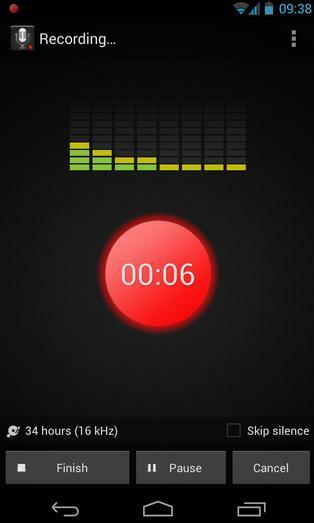 The Miidio Recorder is an Android music recorder with a difference. The difference is obviously portrayed in its unique interface. This recorder processes recording in MP3 through various settings available in the app. The user will enjoy the facility of live recordings too. The attractive interface attracts users by presenting the input level in a circle around the record button. The ASR is also a unique music recording app for recording music on android device. It has a smart and beautiful interface with a built-in cloud integration support. The real time monitoring gives speed to the recording process. The quality of recording is superb as the recording app automatically does some interesting editing. It slips away the silent portion and also removes the unwanted sound such as echoes, cough, breathing or thehumming of the machine. The choice of front and back microphones offers the user with an extra comfortable choice. 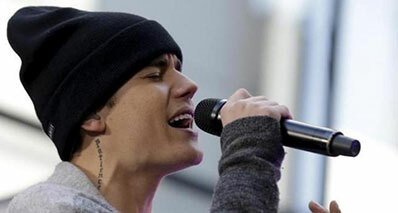 He can choose the microphone that may be suitable for his device and for the required quality of the audio file. There are various apps being developed everyday for various requirements. 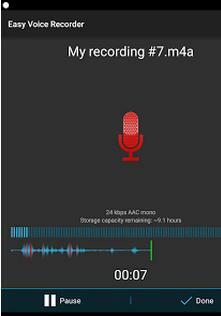 Many more apps are functional as providing recording facility on android too! However, the above mentioned apps have been used, appreciated and recommended by a number of satisfied users.